Has anyone ever had a toy do strange things? We (on two different occasions) had electronic toy dinosaurs in the house. They belonged to the grandkids. One stood about a foot tall, had a cord attached, and with the push of a button could walk across the floor and roar. The other one moved his head back and forth and roared. Well, they would wake us up in the middle of the night, roaring and moving. My son (adult) and I came out or our rooms at the same time, both asking what is that noise? We followed the sound to the toy room, and the dinosaur was roaring and moving. We turned it off. The next night, it did the same thing. We moved them out onto the porch, we no longer wanted them in the house. This happened with each dinosaur on two different times, not at the same time. It happened again the next night, We couldn't figure out how they got back into the house. We put them in the trash. The smaller one, even after we put it into the trash, made its way back into the house again, and again woke us up roaring. I finally waited for the trash pickup guys, put it in the trash bag and watched them put it on their truck. Thankfully, we never saw it again. The small one even roared after we remove the batteries. I know that is not possible, but it happened. I was wondering if anyone else has had a toy do strange things? My friend had a clown doll that wouldn't go away, she and her mom threw it out multiple times and kept finding it again around the house. They knew it was the same one because it was missing an eye. So she brought it to my house to look at it, and we decided it was going to stay with me that night to see if it would go back to her house. Well my dad's wife at the time was pretty mean to me, and she didn't believe in ghosts. My friend and I were telling her about the clown doll, and she laughed at us, took the clown doll, and smashed it's head and said "Problem solved." I was soooo mad. We threw it away, and it never came back... but.. our microwave stopped working for like a week after that. Lol. Your dinosaurs are creepy. I hope they don't randomly show up again someday. Yesteryears Doll Museum used to be in Sandwich on Cape Cod. It was housed in 'The First Parish Meetinghouse'. It was an old church built in 1638. It two floors. The top floor housed lead figures, set up as battlefields. The basement housed the old porcelain dolls. When my Mother and I were going down the steps to that room, We both felt a creepy vibe, coming from the it. I really didn't want to go down there. There was one large doll case in the room. It was made of glass and was u-shaped. You had to go round a corner, to see the dolls in the middle. As I rounded the corner of the case, I saw IT. There was this one doll, immediately my eyes zeroed in on it. It was what I was sensing, when I was coming down the steps. It was about 18-inches tall and dressed in white baby bunting-type clothes. My mother felt it also. As we quickly left the room, I kept my eyes glued to it. The doll's head moved, it turned and watched us leaving the room. Honestly, it scared me half to death. I hadn't gone back for years, until a few summer later. My niece wanted to see it for herself, but the doll museum had closed down. It was now a private residence. None of the neighbors knew what happened to the dolls. I pity the person who now ones it. Also, I had a Raggedy Andy doll. I hated that doll. I could not sleep if that doll was in my room. It was a brand new doll, not an antique. Not long after my parents gave it to me, odd things started to happen. I had a wicker chair in my room next to my closet, I put Andy in it. The only thing was, while I tried to go to sleep, I couldn’t stand Andy looking at me. So, I turned him around, so he'd face the back of the chair. The next morning as I woke up, I turned over and looked at the chair. During the night, Andy had turned around and was now staring at the bed. I thought maybe my Mother had come in and had turned it back around. So, I didn’t think anything of it. That night, I again turned him toward the back of the chair. The next morning, he had turned and was facing my bed, again. When I went to bed that night, I turned him back towards the back of the chair. The next morning, he was staring at me again! Now, I asked my Mother if she was turning him around and I just wasn’t waking up, when she entered my room? She told me, she hadn’t been in my room, for any of the times that Andy moved. That did it, this time I put him in the closet and locked the closet door.The next morning, he was back in the chair staring at me! I finally had it; I wanted nothing more to do with him. I picked him up, carried him into the kitchen. My Mother was at the sink and threw him at her and said, " I don’t want him anymore!". He was brand new, so I have no idea why it was trying to frighten me. He's been relegated to an old trunk, in the cellar. I love these stories! I'm always a little wary of electronic toys as they have a habit of waking up by themselves and having a chat don't they? I remember an episode of Paranormal Witness with a tickle me elmo doll... that one creeped me out for a few days! For the record I personally think Ouija is a bit of a mind inducing game rather than a portal but, this stuff was strange. I have used a Ouija on investigation, to no ill effect or any result. I've never found an item linked to psychometric properties but if there was an item or if this is possible I would think that a "bed" would be the most haunted. A third of our lives are spent sleeping and if energy was linked to items, I would think beds might be a perfect object. Psychometry is a relatively new belief perpetuated by Buchanan in the 1840's. Science has widely criticized this theory but then again they criticize the paranormal because it can't be tested with their formula. For the most part, I do agree and in most cases where experimentation takes place, events are usually benign. But, on the rare occasion, (and there have been plenty of them), odd things seemingly happen and usually spin in a dark way. Dave, it's very much like paranormal activity, most often naturally explained but sometimes you know there's more to it when all you answers become exhausted using logic. I think we just need to keep an open mind. Just because it hasn't happened to us personally doesn't omit the possibility of existence. I've never witnessed a ship sinking but it doesn't mean it hasn't occurred. I personally do not see them as a viable form of investigative practice. I keep myself safe that way using this rationalization. I'm mostly a skeptic and always look for critical thinking as a mainstay of practice. It's interesting how belief systems recommend certain practices in disposal of Talking boards. Most notable, the Warrens (ALWAYS) recommended never to burn or break them, instead, either bury or sink them in a deep body of water. Burning or breaking them according to them will magnify the activity astronomically. Edited by EVP, 12 March 2017 - 04:46 AM. When I was six or seven years old, I had a baby doll that any little girl would have loved. It was perhaps 10 to 12 inches long with an adorable little face and I think one of the first soft vinyl bodies. I recall the 'skin' was soft, so I assume it was vinyl. This baby doll terrified me. When the adults tucked me in, the doll was beside me, and since it made no sense that I should be so terrified of it, it remained. One night as I lay there - can't remember whether it was totally dark or not - but I do recall vividly that the doll was beside me, with its head tucked into my armpit. I was very aware that it was there, and I recall feeling very apprehensive. Suddenly a jolt of electricity shot through my armpit where the doll's head was resting! I think I jumped ten feet and screamed bloody murder. An adult fled to my rescue, and I demanded that the doll be moved as far away from me as possible. I do not recall what happened to it, nor do I recall ever seeing it again. I am interested in other's take on this situation. This isn't probably anything out of the ordinary but I got scared of my childhood Furby toy since it suddenly started 'screaming' one day. It was Christmas and I had just received that fluffy friend as a present and was super eager to get to play with it. It was all fun and games until the Furby suddenly started to make a loud continuous noise for a while, like it was stuck or something and the little child me got really frightened. The Furby scared me even more back then because it started making weird beeping noises when no one was in the same room. They talk when no ones around, as a way to amuse themselves. Yes, they are creepy that way, that's how they were manufactured. They are so bizarre. You needed to get another one, so when you're not playing with it, they'll talk to each other, which is again, creepy. 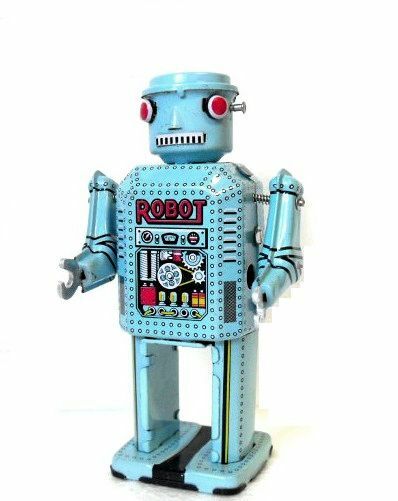 Back in about 2002, when I was around 8 years old, I had a toy robot (new from the toy store and nothing fancy), just stood about 3 feet tall, moved on wheels, and had a wireless remote control. Anyway, one day a few weeks (or months) after I got it, it wouldn't work right. So thinking it just needed new batteries, my mom took the batteries out and went to fetch new batteries. BEFORE my mom put the new batteries in... the robot literally "came to life" and moved towards me. I turned left, it followed me, I turned right, it followed again. Literally chasing me for about 10 seconds then it stopped. Nothing like that ever happened again, and I never played with a robot ever again lol. Also, this was back in about 2002. So, the toy did not have any cameras or any cool features like nowadays....But it was the freakiest experience I ever had especially considering there were absolutely no batteries in the thing! My mom even witnessed it chasing me. She had no explanation other than assumed that the robot might have had some battery remnants powerful enough to activate the toy and that it coincidently chased after me in every direction I ran around in. Edited by DreamerSeeker, 18 January 2018 - 06:32 PM. DreamerSeeker, that would be very scary! I have never heard of energy being left over in a toy when the batteries were removed. I can totally relate to that though, as we had a toy dinosaur move and roar without any batteries installed! My only toy or doll story happened at my aunt and uncles house back in 1980. My dad and I would go visit my aunt and uncle and their 2 daughters (my cousins) for a week at a time. We would take our black chow "Bo" with us everywhere we went. Bo was a well trained dog and was good with people and other dogs. As good as Bo was, he was also very protective of family. He would always be patrolling the house keeping an eye on everyone. He would get up during the night and wander through the house like he was checking on everyone. One night everyone in the house was woken up by Bo going crazy like he was going to kill something in the younger cousins room. She was screaming her head off too as his actions woke her up and scared her pretty bad. Bo was not facing her or her bed. He was facing the opposite corner of her room from her bed. In that corner was where my cousin had her ~3' tall plastic doll. She always kept the doll there. I know as all of us would play board games in her room sometimes. Bo had been in her room with the doll there a number of times. 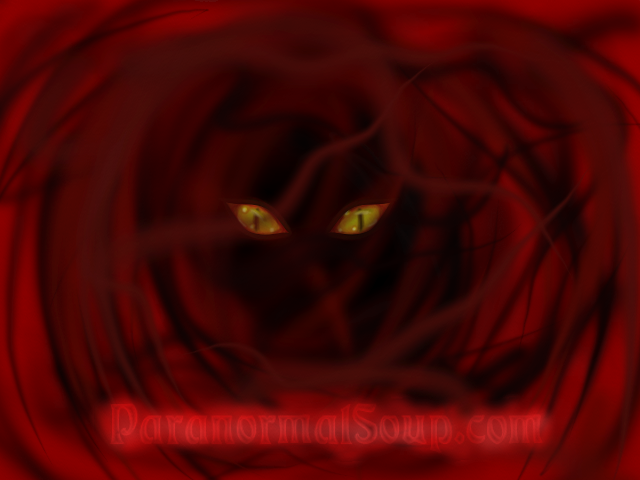 Whatever he sensed or saw or whatever triggered him that night was eerie. I have brought this up here before. I am pretty sure I did not mention how Bo acted with the doll after we all ran into her room. Bo sounded like he was in the fight of his life when we heard him. But, he never actually attacked the doll. He stayed several feet away from it. He would not allow himself to be easily led from the room / doll. My dad who spent lots of time to train Bo, had a difficult time getting Bo out of the room. My dad normally only had to snap his fingers and tell Bo anything and he would obey. My dad had to drag Bo out of her room by the collar. Once he let go of him in the living room, Bo ran back to the bedroom which the door was closed. My cousin did get rid of the doll not long after. She didn't like the doll after that. That was all I remember from the situation. I am going to a family get together with that part of the family in a few months....I need to remember to ask her about it when we meet up. I had a strange experience last year (2017) with a wind up robot, he's only four inches tall and sits on a shelf above a doorway. He has not been touched in years since I put him up there, but one day we were sitting and watching TV and all of a sudden he started to walk on the shelve, it freaked us out, he only took about 3 steps before stopping and he has never done it again. It may have been he had some spring energy sill in him, but why all of sudden start moving? yeah you get a little concerned when they've been inactive for so many years and they suddenly start up! I just remembered another toy incident that happened to me once when I was 11. You know those dolls where you lay them down and the eyes close, sit them up and the eyes open? Well, when I was 11 years old, I had a kid-Barbie sized (about 4-inch tall) fairy one. It wore a blue dress, had blonde hair, and wore a blue flower halo on its head. This was a Burger King kids meal toy. Well, one day, I was playing in my room and I put the doll in my bed and covered it up with the blankets like a real person. The eyes were closed and everything. I left my room for a few seconds to get another toy that I left in the hallway. When I came back into my room, the doll was sitting up, eyes open, and no blankets (the blankets were resting at the doll's feet). I was puzzled and used my finger to push the doll back down to lay, eyes closed, and this time I did NOT cover it with the blankets (I left them where they were). I turned my back for again for a split second, and when I looked back at it, the doll was sitting up again and this time the blankets were covering the doll's body. I then grabbed the doll by its hair and threw it under my bed. Never played with it again. I got rid of it shortly afterward. As some of you might know from what I've mentioned before...I am an only child. So there were no other kids messing with me. I was the only person upstairs while my parents were both downstairs in the living room or kitchen. Believe me or not, but I am 100% convinced a spirit was messing with me. Either that or toys really do come alive when you turn your back on them, lol. That is freaky My son hated one of my daughter's dolls. He was very frightened of it, said it would move etc. The funny thing was the doll disappeared and I still don't know what happened to it! He is an adult now and would have told me if he did something to get rid of the doll as a child, it is a mystery. We had issues with an elmo pop up box. It was battery operated and would sing some song. It used to start up all the time singing, middle of the night, during the day, NO batteries in the darn thing. Elmo would just start singing!! Hubby finally took and chucked it out in the yard! Even he couldn't explain away that. I wonder, today, how many electronic toys are watching and listening to us, like our tv's and other appliances are. Creepy! Probably 90% of them are, which is a scary thougtht. i always wonder how many videos the government has of people on the toilet, since most people bring their phones in with them... omg, what if they know peoples potty schedule... like "It's 3 o'clock, Billy should be heading to the bathroom about now... he did eat that whole bag of Taco Bell... Poor guy."